Bitcoin is one of the different types of digital currency called Cryptocurrency which are used to regulate the generation of units of currency and also to verify the transfer of funds online, operating independently of the supervision of any central bank. Bitcoin price today about US$10,000, that means bitcoin price in Nigeria Naira is about N3600000 (Three point six million Naira). As at 2015, one bitcoin was sold for less than US$450, in less than 2 years the price of bitcoin has more than skyrocketed. You see why some Nigerians see this as a way to make money online although Nigerians are slowly embracing Bitcoin. In line with this, Jumia Travel, the leading online travel agency share things Nigerians must know before joining the Bitcoin train. In a lame man's understanding, Bitcoin is a currency just like Naira and US dollars but it's a digital currency, meaning you only see you balance online or using the app called a bitcoin wallet. Here bitcoin wallet is just like you bank's mobile app where you see your cash in digits and can send and receive money to people in the US,UK and all over the world, also pay for goods and services without touching any physical cash. That how bitcoin works, to get your bitcoin in cash all you need do is you sell your Bitcoin to ever available buyers online or in person then the person will give you the Naira or dollar equivalent of the transferred bitcoin amount. Some Nigerians may not accept bitcoin because of fear of "419" or online scams, more people are not accepting bitcoin because of its huge growth in a very short time which has created wealth for many Nigerians and other people around the world. 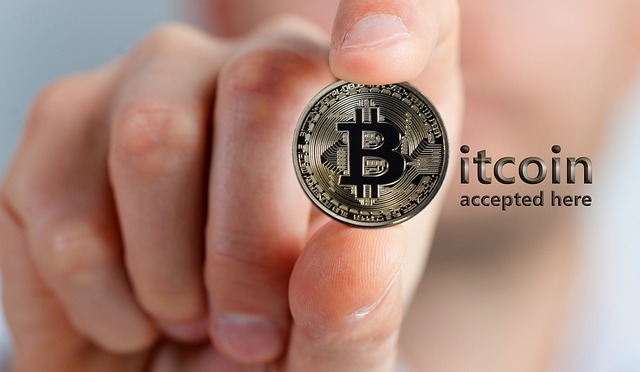 Some businesses and companies now accept bitcoin even in Nigeria and abroad, some of the company and online stores that accept bitcoin include Konga, Jumia travels, Expedia, Microsoft, Subway, Newegg, TigerDirect, Tesla and PayPal. So, do not "freeze​" when you see a Nigerian company that accept Bitcoin. You can also buy/sell or convert your bitcoin for cash (Naira) in Nigeria on Nairaex and Naira4dollar . People partake in most scam schemes where they loose their Bitcoin to scammers, some are made to do certain task with promises of getting 1 free bitcoin or more or sometimes 0.5 BTC free and end up getting nothing. Most financial institutions charge at a higher rate and some may take lots of hours or even days to process but Bitcoin allows transfers from one account to another almost for free and instantly. You must already have your money converted to Bitcoin form and in your Bitcoin wallet. There is no need for any middleman as a result the transfer is untraceable and instant. Bitcoin is still at its youth stage and still growing. There are some market factors that influence its growth, just like any other currencies like US dollars or Naira and the British pounds, Bitcoin price increase and also decreases. It depend on the rules of demand and supply. The more people are willing to buy Bitcoins, the higher the Bitcoin value will increase. Conversely, if more people sell Bitcoin, the prices will decline in the market. So always see the market trends to know when to buy and sell Bitcoin else you may run at a loss. I'm not a Bitcoin expert but have gotten some experience from buying a and selling Bitcoin over the years and my advice to all new and prospecting Bitcoin users is to treat Bitcoin as speculating and not an investment. Cryptocurrencies have a bright future as a new way to conduct commerce and business. That is not the same thing as saying that their value right now is sustainable. It’s still in its early days and, while the number of businesses accepting cryptocurrencies are growing by the day, it’s not big enough for most of the demand to be built on legitimate trade. This means that buying cryptocurrencies is speculation, not investment. Hence, you should be willing to lose the money you invest in buying Bitcoin! Else stay away from Bitcoin, but there is a saying that nothing ventured nothing gained, if you must venture into bitcoin business don't do it with your eyes closed. Do some research about it and read different article about bitcoin, if possible find some videos on YouTube about Bitcoin and watch them. Get some info about BTC before going for it.